Art & Frame of Sarasota: New Weekly Classes with Elena De La Ville! 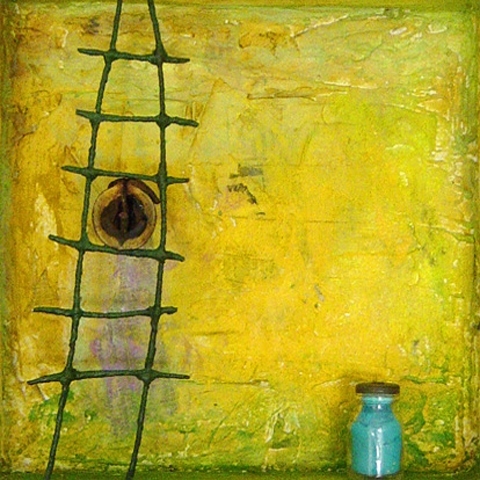 If you're interested in mixed media, Elena De La Ville is the instructor for you! Her studio work involves mixing photography, digital, silver based and alternative processes with wax, encaustic medium and pigments. Starting November 7th, she will be at Art & Frame every Wednesday afternoon to teach you the endless possibilities that mixed media applications have to offer. In addition to the many techniques you will learn, she will also have presentations on contemporary issues and practices relevant in today's art world. When: Wednesdays from 3:15 to 5:15pm (starting Nov. 7th) NO CLASS NOV. 21st! Week 1: Working with papers, glues and adhesives (Fine Art papers and found or hand made papers). Cutting, tearing and layering. Week 2: Incorporating writing into your work. Words and images. Working with type and scale. Composition. Week 3: Painted backgrounds, textures and washes. Priming and adding color. Week 4: Incorporating photos into your work, hot transfers, overlays and wax transfers. Safe (non-chemical) techniques for integrating images into your canvas. Week 5: Image layering using your own images. Recycle older pieces and ideas. Transfers.